Clinic-Assist is an online application that lets you manage every part of your clinic, from appointments, staff rotas and patient records, to stock control, invoicing and reporting. There's no software to install and no updates to worry about. All your team members can access the system 24/7 from any computer or tablet, whether they're in your clinic, on the road or working from home. Clinic-Assist has been designed in partnership with real industry-specific clinics and shaped around their needs. We've worked hard to make Clinic-Assist simple to use, by designing it around the way you already work. It's easy to get up and running in minutes, then discover everything the software can do at your own pace. If you get stuck, we'll be here to help, with unlimited phone and email support from our dedicated team any time you need it. Our pricing is simple too. Depending on your total user count, we charge between £10 and £15 per user, per month, including access to all Clinic-Assist features and full customer support. The available SMS service is just 5p per text if you choose to use it. Sign up today and try Clinic-Assist completely free for 30 days. Sign up for a 30-day free trial and you'll get full access to all Clinic-Assist's features straight away. We've even pre-filled the system with some sample data, so you don't have to spend time setting it up. Just log in, take a look around and see what Clinic-Assist could do for you and your clinic. sign up for your free 30-day trial now. Use this chart to compare Clinic-Assist's feature set with some of the leading alternative applications. Block booking for holidays, etc. Clinic-Assist offers all these features for as little as £10 per user, per month. To get started, sign up for your free 30-day trial now. We know security is of the utmost importance, no compromises. As you would expect, Data security and the GDPR are our most paramount concern and we take these matters extremely seriously. Since March 2005, we have worked hard to implement and adhere to documented standards and policies so you can have the confidence that your data is safe with us. On the 25th May 2018, the new GDPR will come into force and all companies and organisations throughout the European Union will need to comply. Clinic-Assist is already GDPR compliant and by using Clinic-Assist, you will have many of the functions required to ensure your compliance with the GDPR. Your data is maintained securely in our very own datacentres, on our own equipment right here in the UK. We are particularly proud to be the first IT provider in the area to achieve BSI ISO 27001 certification – the recognised international standard for best practice in data security. We have placed the highest importance on the CIA (confidentiality, integrity and availability) of your data. The certification process and ongoing assessments with BSI, test, validate and refine our Information Security Management System. The ongoing compliance ensures we have effective measures in place to maintain data security. In addition, with replication across multiple sites and high availability infrastructure, we have every confidence in our disaster recovery and business continuity management systems. In 2014, the government introduced the Cyber Essentials scheme defining a set of controls through which to provide organisations with protection from the most prevalent forms of threat coming from the internet. We are delighted to have attained the Cyber Essentials accreditation. Finally, and of most importance, we have undergone rigorous penetration testing against all of our hardware and software from the recognised external organisation known as SEC-1. Established in 2001, over the last 16 years SEC-1 has continually built on all network security knowledge. This success has allowed them to become accredited in CREST and CHECK. See how little it could cost to manage your entire clinic. You can sign up for your free 30-day trial here. 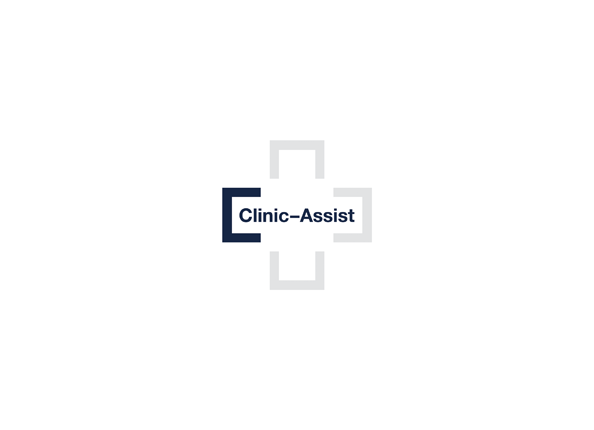 Clinic-Assist is ideally suited to a 3+ practitioner/clinician or expanding clinic. If you don't fall in to this bracket it is unlikely that Clinic-Assist will be suitable for you. There are no payment details taken up front and when your trial is over, you can carry on using Clinic-Assist for a simple monthly fee (see below) or cancel with no obligation. Clinic-Assist costs are per user per month (PUPM) and vary depending on the number of users you require. There are no service levels or hidden charges. With the exception of text messaging and postcode lookups, the standard price you pay includes access to all Clinic-Assist’s features from day one, as well as email and telephone support whenever you need it. If using the Clinic-Assist text messaging service there is a charge of 5p per text, which will be calculated automatically at the end of each month. This service is disabled by default and you can choose to use your own service if preferred. If using the Clinic-Assist post-code lookup service, there is a charge of 6p per lookup, which will be calculated automatically at the end of each month. This service is disabled by default and you can choose to use your own service if preferred. Can we share user accounts? No - with a shared account, you wouldn’t be able to distinguish between changes made by different users for auditing and data protection purposes. Most clinics find they appreciate the reassurance of a full audit trail, with details of every change by every user. Will we need help to get started? Probably not. We’ve designed Clinic-Assist to be simple and intuitive to use, right out of the box. That’s one of its key strengths. The software also includes a virtual assistant that offers on-screen help with key functions as you use them. If you do run into problems, we’ll always be here to offer email and phone support – all included in your monthly subscription. Support work between 06:00 - 22:00 weekdays to handle both functional and operational issues, and 09:00 - 17:00 Saturday and Sunday to provide operational support only. The department is closed on Bank Holidays. Which browsers will Clinic-Assist work on? Whilst we recommend the use of Chrome, we work to ensure compatibility between Clinic-Assist and the latest two versions of Internet Explorer, Edge, Chrome, Firefox and Safari. We have a lot of records in other documents/systems. Can you help us import them into Clinic-Assist? Yes, we may be able to help. Please get in touch to discuss this. What devices does Clinic-Assist integrate with? Clinic-Assist partners with Vitalograph. By interfacing with Vitalograph 'Spirotrac' software, Clinic-Assist provides automatic data exchange of Spirometry and ECG test results. This includes individual data points and the full pdf report. We plan to extend this to Vitalograph Audiometry in the near future. Yes - to learn about how we treat security as the highest priority, read our data security section. How will Clinic-Assist develop in the future? Through user feedback, Clinic-Assist will continue to evolve all within the monthly per user costs. We’re always grateful for ideas and requests from Clinic-Assist users, so if there’s something you’d like to see added, just let us know. We are an in-house clinic. Can we use Clinic-Assist? Yes - get in touch with us and we’ll explain how Clinic-Assist could be tailored to your needs. Can Clinic-Assist help me with my GDPR compliance? Yes! Under the GDPR (and previous Data Protection Act 1998), you are the Data Controller, while Clinic-Assist is the Data Processor. Within our terms and conditions, we include the data processing provisions required under the GDPR, while within the application, many of the features and functions assist you in your compliance as the Data Controller. When collecting patient data, you will still have the duty to inform your patients about certain things, as listed under the GDPR (for example, why you are processing their data, who it will be transferred to etc.). At Clinic-Assist, we take data security very seriously. We are ISO 27001 accredited and do our best to store your data to a high standard. Clinic-Assist is designed with GDPR compliance in mind and we do everything that we can to assist you in complying, but it will be your responsibility to ensure that you fulfil your duties as a Data Controller. Within the GDPR, there is a right of data portability, how can Clinic-Assist help me should this be required? The right of data portability applies to the patient (Data Subject) who wishes to have their data transferred from one Data Controller to another. Should this be requested, as the Data Controller, you are legally required to hand over the data in a machine readable format at no cost to the Data Subject. You would in turn raise this request via our Support Department and we would assist in providing the data in a machine readable format as a chargeable service. This is because, as a relational database, should a request be received, we would need to work with the receiving person, organisation or company to export the data in a suitable format. To comply with the GDPR, the data would need to be provided by you to the Data Subject or other Data Controller within one month of the request. Medical Data is highly sensitive, how can I be assured you are dealing with this data properly? Medical data, along with other data types such as race, are classified as "special categories of personal data" within the GDPR. This means you as the Data Controller and Clinic-Assist as the Data Processor, need to apply a higher level of control to ensure the confidentiality of the data. I have heard that within the GDPR is the right to be forgotten, how can Clinic-Assist help me should a patient request this? Where the right to be forgotten applies to you, and a Data Subject requests that you delete their personal data, we will work with you to remove that Data Subject’s personal data where possible. This right to be forgotten will also need to be considered in the context of your duty to retain documents for a certain period. Any deletion of personal data on request by the Data Subject will be a chargeable service. Do I need a separate Data Processing Agreement with Clinic-Assist? No, the data processing requirements under the GDPR are already included within the Clinic-Assist terms and conditions. Under the terms and conditions, we confirm that we will have adequate security measures in place, only process the data in accordance with your lawful and documented instructions and various other points as required under the GDPR. Will Clinic-Assist work outside of the UK? Yes, Clinic-Assist will work outside of the UK however we do require a UK billing address. Please get in touch with us and we’ll be happy to help you. Clinic-Assist is developed by Data Partnerships. We're a well established, innovative and future focussed IT company based in Norwich, UK. Founded in 1997, our mission has always been to deliver enterprise class IT to the SME market which is now demonstrated with Clinic-Assist. Our team of dedicated IT specialists are passionate about our services and the support we provide to our clients. To get in touch, you can either contact us with the details below, or just complete this form. Please enable support for MP4 videos to view this.